1. Fun at TV 41/WGMT Macon, Ga.
Bryan helping with the "Ring Trick"
"Flower Balloon" to an assistant. My Grand daughter, Avery, wearing a "Reindeer Hat"
Easter outdoor show with "Frizzie Hare" in Milledgeville, Ga.
As a Master Ventriloquist, Comedy Magician, and Professional Balloon Artist, I have over 25 years experience of Professional programs at Schools,Libraries,Companies,Churches,Day Care Centers,Birthdays,Resort Hotels,Theme Parks,Restaurants,and Fairs/Festivals. Programs for any size Audience, Anywhere. A Multi-Talented Comic Entertainer that's Affordable, Flexible and Perfect for any Venue. Many Past Customers have me return Year after Year. AND, I love what I do. Couldn’t have asked for a better entertainer! Cliff brought the house down with his amazing act of magic, comedy, and ventriloquism. He captivated a room full of 15 4-8 year olds and about 20 adults. All of us were laughing hysterically and watching in awe as he did numerous magic tricks. Cliff also handled a slightly unruly 2 year old with such a great sense of humor, usung his puppet to interact with him. I would hire him again in a heartbeat!! Cliff and friends were amazing the kids laughed and were amazed with the magic ! They still walking around saying “ I’m dead” lol! We would definitely recommend Cliff for any age groups as we had from 4 - 17 and they were all entertained as were us adults. Great show. Looking for something a bit different for your next party? Cliff and Skeeter would be my suggestion. I promise you will have a lot of smiling/laughing faces from both the kids and the parents as well. Teachers and students enjoyed the show. Cliff was a perfect fit for our event! The kids and parents loved him. Professional, on time and very nice. All the kids want him at their birthday parties! Highly, highly recommend. The children had a blast! Mr. Cliff was engaging, personal and we all had a good time, children and parents too. Birthday boy was taken away by being the magician's assistant and still couldn't understand how in the world the puppets were talking because he watched Mr. Cliff's lips carefully and they weren't moving. What a wonderful memory to treasure for the years to come! Cliff's show was great. The kids really enjoyed the show and he kept them very engaged. Cliff was very appropriate and funny. Will recommend! The kids loved him and he was awesome. Really enjoyed Cliff and his friends along with his magic. Kids had a good time and he also done balloons for them all. Highly recommend him and his show. Cliff was on time and very professional. Our entire audience of ages from 5-70 were laughing out loud. Great show! We had fun! Thank you Cliff for driving that far! Cliff has been at Montessori at Sharon Springs 3 times! The children laughed so hard! He is perfect for preschool children - never speaking over their heads. Great show. The kids loved it. Thank you! We hired Mr. Cliff for our daughter's 3rd birthday party. He arrived early to set up the stage, and the kids loved the show. We would definitely recommend him! Great entertainment for 4 year olds. He was silly and fun for the kids. We all really enjoyed the show which had some magic, puppets, and balloon animals. 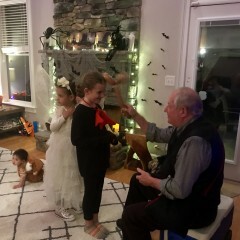 Thank you, I had a Fantastic time entertaining at your party and Emma and Harold were a pure delight as assistants, especially Harold, who "stole the show", but in a fun and funny way. Tell them that "Augie Possum" and "Skeeter" are still talking about the fun they had at their Birthday Party. Did a great job entertaining 3 year olds which is difficult to do and keep them all engaged! Cliff was very prompt and arrived as he said he would in plenty of time to set up for our party. As it was a rant day we held the event indoors and Cliff set up in the family living room. Cliff was engaging and entertaining from the beginning until then end of his time. ALL of the kids were so focused with the puppets, the jokes, magic tricks and then the balloon animals. Even the adults we're laughing along to his jokes! Everyone loved him, and we had 16 kids aged between 5-8. Two friends asked where did we find him! True entertainer, we loved his performance! We celebrated our daughter's 4th birthday, not only were the kids cracking up but all parents as well. Very professional, kid safe entertainment. Our event was superb thanks to Cliff Patton and Skeeter. The audience consisted of special needs individuals along with their parents and siblings, some grandparents and friends. The show was engaging, funny and very entertaining. We will invite Cliff to future events. Thanks Cliff! It was great show. Kids enjoyed the show. There were lot of laughs and giggles throughout the show. Magician was able to occupy the kid's attention through out the show. Involved the kids during the show and also did little bit of balloon twisting. We will hire him again for a different party. Cliff was early and had the kids in hysterics! Perfect birthday! Cliff Patton was great. Arrived Well ahead of time and understood all our requests and did a wonderful job. Kids enjoyed the party very much and would recommend. Will call on Cliff again! Cliff was the best part of our party. I would not hesitate to hire him again. He was professional, early, friendly, and the kids loved him. Thank you, Jenny Hammock, I really enjoyed your group. The kids were attentive and co-operative and seemed to have GREAT time. And I received many compliments from the adults as I was leaving. Thanks for having me. My sons loved having Cliff , Skeeter and his other friends at their party. They even requested to have him come back to their birthday party again next year! They laughed so hard through out the performance! It was also great to see so.eone come out who is very organised and prepared. Hi - I had Mr. Patton and Skeeter for my sons 7th birthday party on Saturday and it was a HUGE success! Mr. Patton arrived early, was pleasant, and super prepared. He even let my son help with his sound check! As the guests arrived he greeted them with a smile and made them a balloon! Once everyone arrived he put on a fantastic show and even had my son sit close to him and help with a couple of the magic tricks which was super special!! 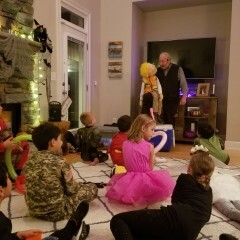 Mr. Patton had 3 different puppets that were completely hilarious..my sons friends are still talking about how much fun they had at the party! I would highly recommend this very talented nice man for anyone's birthday party! The show was great, all the kids enjoyed. I highly recommend it. Cliff Patton was invited to perform for our kid's 2nd birthday party. He was right on time at the venue and started his performance. Post lunch, kids started playing and were running all over the hall. 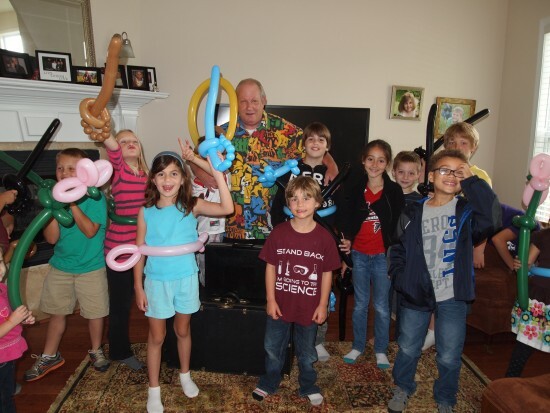 As soon as he started engaging kids with balloon twisting, things fell into place. The adults sat along with the kids to watch his performance and the entire hall was quiet for almost an hour. Ventriloquism is a difficult art to perform and we would definitely recommend him for kids' entertainment. We had a Valentine Dinner at our church for 88 people, and Mr. Patton was invited to perform. The dinner was for adults from age 20's through age 80. The crowd really enjoyed him, and asked where I found him, so I passed that along. He did a 30 minute show for us and was phenomenal! Thanks Lisa for the fine review, I had a great time with some fantastic folks. Please keep in mind that I do Children Shows, also. Hope to see y'all soon. The best entertainment for kids! 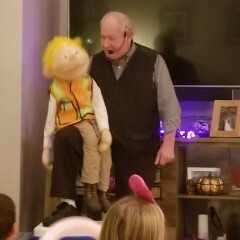 We were very happy to have Cliff Patton and his little buddy come entertain on our daughter's 4th birthday party and we can highly recommend him! The kids loved his show and Cliff is great in pulling the kids in and having them assist. The magic part was excellent too and the tricks were not too hard to follow for even the youngest kids. Cliff made the party and we would not hesitate to hire him again! We had a good time with Mr Patton! and everyone went home happy with their animals ballons!! Cliff and Skeeter are great! We hired Cliff Patton and Skeeter for our 7 year old twins birthday party. We had to move the event inside due to rain and were lucky that Cliff was available at the last minute. He arrived on time and the kids loved the show. He kept them all engaged and laughing. Our daughters said it was their favorite part of their party! Thank you Cliff and Skeeter! Cliff showed up on time, was well prepared, interacted with everyone prior to, during, and following the Senior Adult Luncheon. Great experience. Original material. Wholesome, clean, creative, entertainment. Highly recommend. 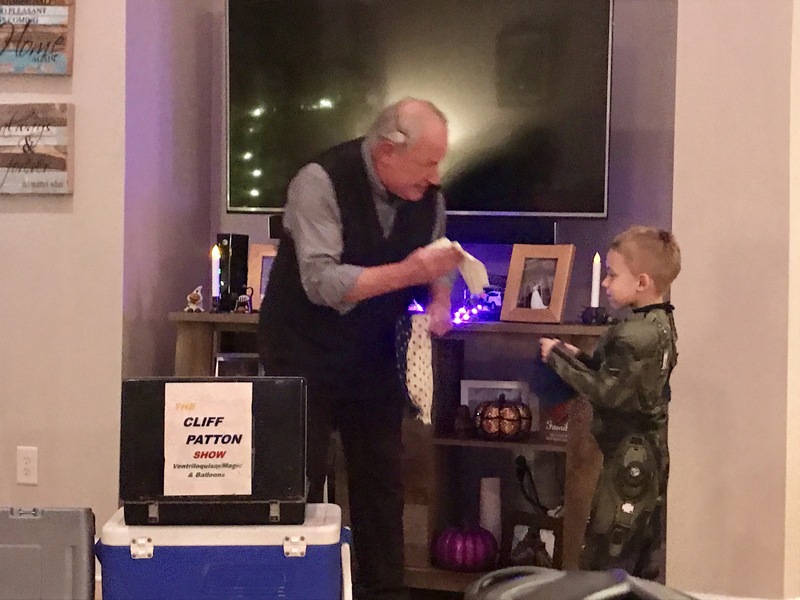 I had booked Cliff for my 6 year old's birthday party. Cliff did a magic show, twisted balloons for all the kids and it was a blast There were kids ranging from 3 - 13 years of age and everyone had a wonderful time. The adults were pretty impressed as to how he had all their attention for the entire hr. Thank you Cliff for making my daughter's birthday a huge success. Great entertainment for children and the young at heart. 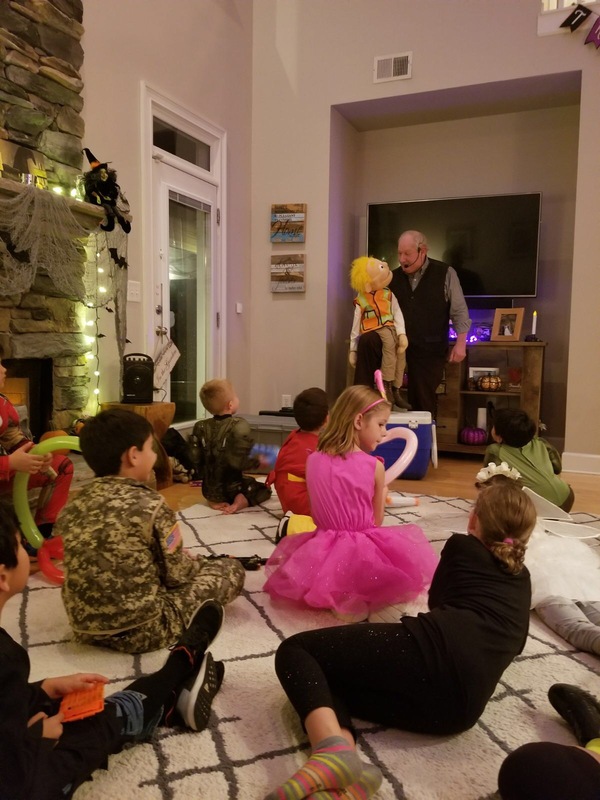 Cliff's magic/ventriloquist show along with his balloon art proved to be fun entertainment for the children at our company event. Cliff was professional, he arrived early and he adapted to our changing schedule. I would highly recommend Cliff for your children's party or other corporate event. Cliff was the highlight of the night. He kept the kids engaged and kept them laughing the whole show. He arrived early and prepared and was a delight to work with. We had inflatables, face painting, food, and snow cones, but Cliff always had the biggest crowds waiting to get one of his balloon creations. We could have saved a lot of money and just done without the inflatables and just had Cliff provide all the entertainment! Needless to say, we will have Cliff back again! I had a GREAT time with the kids in Albertville, Alabama. They were a delight to be around and appreciative of my Ventriloquist/Magic program. Looking forward to going back, Thanks, Todd. 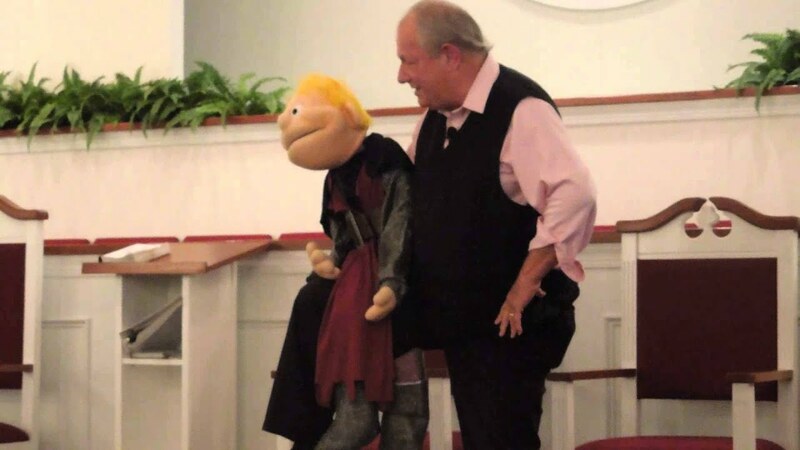 We invited Cliff for a children's emphasis evening worship service at our church. Cliff (and "friends") did a wonderful job of entertaining (children and adults) during the service and included a simple Christian message as well. After the service, we served ice cream sundaes in our fellowship hall. During this time, Cliff mingled with everyone at their tables and made balloon creations for all the children. Everyone had a great time, and I received numerous positive comments for organizing this event. Cliff was a pleasure to work with and always answered any questions that I had before the event. He arrived early and never took a break during the evening. I would highly recommend Cliff for any children's event you may be planning. 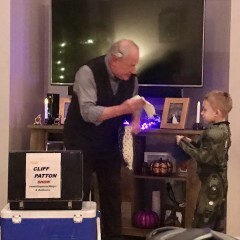 We hired Cliff for my son's 4th birthday party, and I can truly say we couldn't have made a better choice! Cliff's communication prior to the event was timely and professional. He showed up well before the time, and even stayed longer than we paid for. He made the kids balloon characters until everyone was ready for the show. The magic chow was funny and highly entertaining--very age appropriate for a bunch of 4-7 year olds. Even the adults were laughing. Then the magic show was followed by the ventriloquist bit with "Skeeter." That had the kids howling with laughter and everybody sat glued to their seats. We will definitely hire Cliff and Skeeter again. Very professional, highly entertaining--exactly what you would expect from an entertainer. Cliff Patton came to the Weogufka Center to do a Childrens Show for our fund raiser events. Cliff is a very professional ventriloquist and magician. His act was very good and all enjoyed. We had the children down front so Cliff could play directly to them. He did so with humor and magic. This was a great show and we will have Cliff back for sure. My daughter said it was the best party ever! Having Cliff and Skeeter at my daughter's 7th birthday party was huge success. They were very entertaining to both the children and adults. I highly recommend scheduling Cliff for any and all children's functions! The Cliff Patton and Skeeter's show was great. He arrived early and immediately started interacting with the kids. The kids and adults both enjoyed the show. We laughed and my son is still talking about the show. In his words it was terrific! I would definitely recommend him and use him again in the future! All kids and adults were entertained, my son in special loved the show! I felt that this was a great addition to his 3rd Bday party! I would really recommend Mr. Cliff Patton! We Loved having Cliff here at our daughter's 5th Bday party! Cliff did very well with all the children! 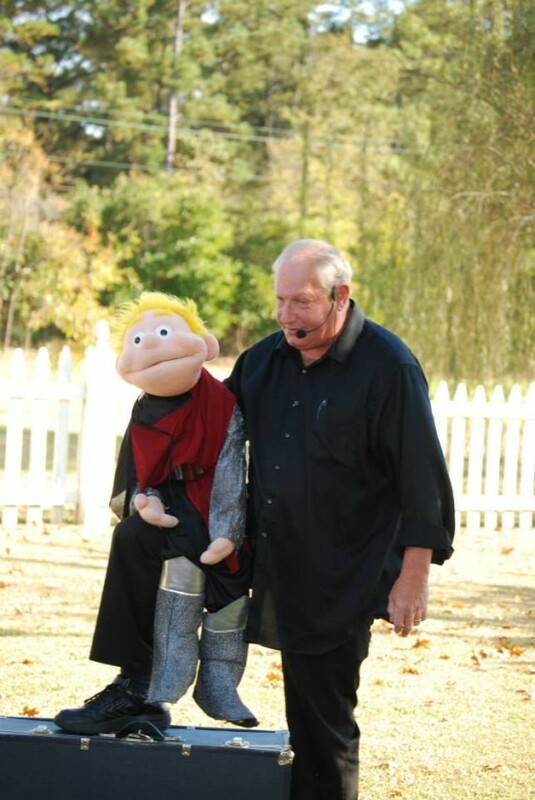 He is a very funny magician and a fantastic Ventriliquist with he puppet Skeeter! The kids were laughing A LOT! He is also VERY talented at making balloon creations for each child! I highly recommend him at any children's party! Great entertainer for both children and adults. Cliff and I have known each other for almost 25 years. I have given him some of the shows I could not do and the people were very pleased with his performance. I enjoy watching Cliff and Skeeter as the comedy between the two is hilarious. I highly recommend Cliff for any event as he is one of the greatest entertainers I have known. I also had him help me instruct law enforcement on the segment of using puppets for crime prevention. A great friend and fantastic entertainer. I found the Cliff Patton and Skeeter show to be very, very funny. The jokes kept children and adults laughing, the puppets were colorful and eye catching, the routines were easy to follow, and the show moved well, without any dead moments. It seemed to be a great hit. I was sorry to see it end! What a treat having Cliff Patton and Skeeter at our annual Accelerated Reader "Reading Celebration". Mr. Patton provided (3) entertaining shows for our 950+ primary grade students. Our students LOVED his show. They never stopped laughing! If you are looking for affordable, good, clean, fun that children of all ages can enjoy, Cliff and Skeeter are your answer. 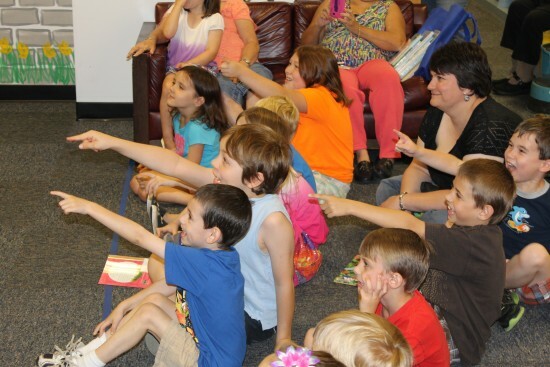 Cliff is great and always a hit at our library. I have known Cliff Patton for many years. As a librarian, he is on my short list of performers that I routinely call for our summer Vacation Reading Program. Frankly, there are a lot of great performers out there, but Cliff is a throw-back to good ole fashioned silliness and comedic antics with regard to his performance. 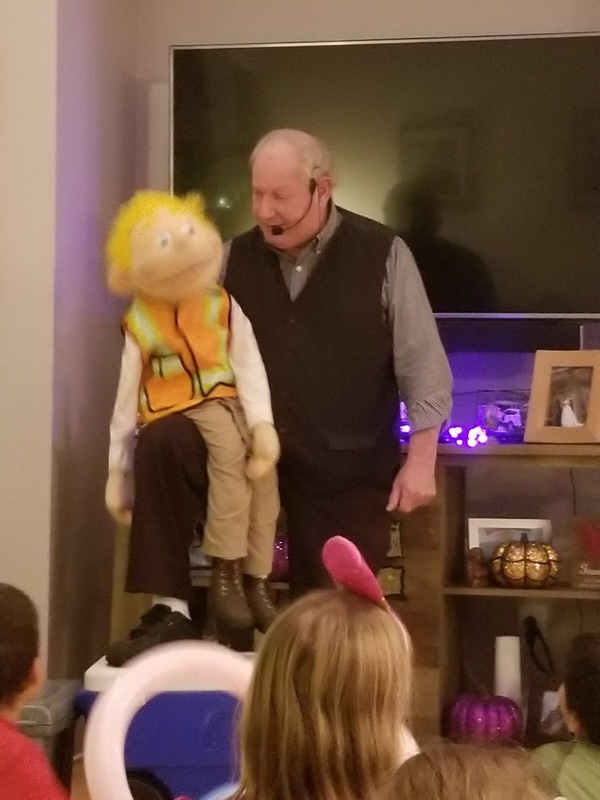 He is a very funny ventriloquist and he constantly brings laughter and smiles from the children and "groans" from the adults (when they realize they are laughing too!) He will add that special something to your next event. Cliff always goes the extra mile!! 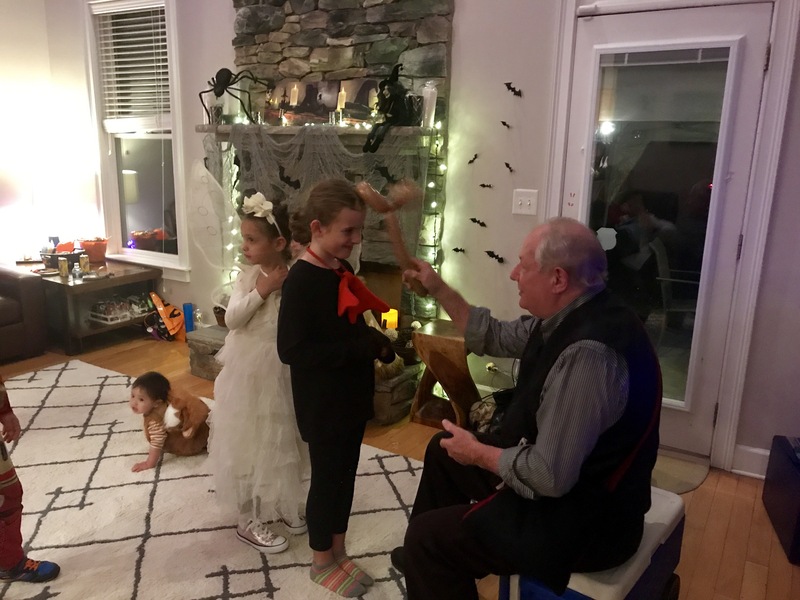 I create a High Energy Comedy Program with Magic, Ventriloquism, Balloon Artistry and Audience Participation for ANY get together, be it a Birthday Party or Company Party. I Provide Suitable Entertainment for ANY Event. I arrive about 20 minutes Before Showtime so you're satisfied the Show will start On Time !!! If it is to be a Strolling Entertainment (2 Hour Minimum) I will work Continuously without breaks, However long you hire me, I work the Entire Time !!! Master Ventriloquist,Comedy Magician, and Balloon Artist. I create a high energy comedy program with Audience Participation. I have traveled the State of Georgia for over 25 years performing at Fairs/Festivals, Schools, Libraries, Resort Hotels and Theme Parks. My show can be for a Large Group or a Small Gathering, I bring all props neccessary PLUS a portable PA system. I can do a Set Performance(15-90 minutes) or Strolling with my Puppets or Balloon Twisting. I provide a Triple Treat of Entertainment in Every Show. I am a self-contained act. I bring all props and amplification with me, so I am ready to go when I reach program site. I can do Impromptu "set-up" shows anywhere. I also do Walk-arounds at Fairs, Resorts and Resturaunts. I am capable of doing a 10 minute fill-in or an hour and thirty minute evening program. My main influence was Paul Winchell, ventriloquist. Red Skelton, Danny Kaye, Abbott and Costello, Jerry Lewis, Robin Williams are also influences I admire.